TGIF everyone! I can't wait for the weekend. It's not that I have great plans (I don't) but just the thought of relaxing in my bed is so enticing right now. 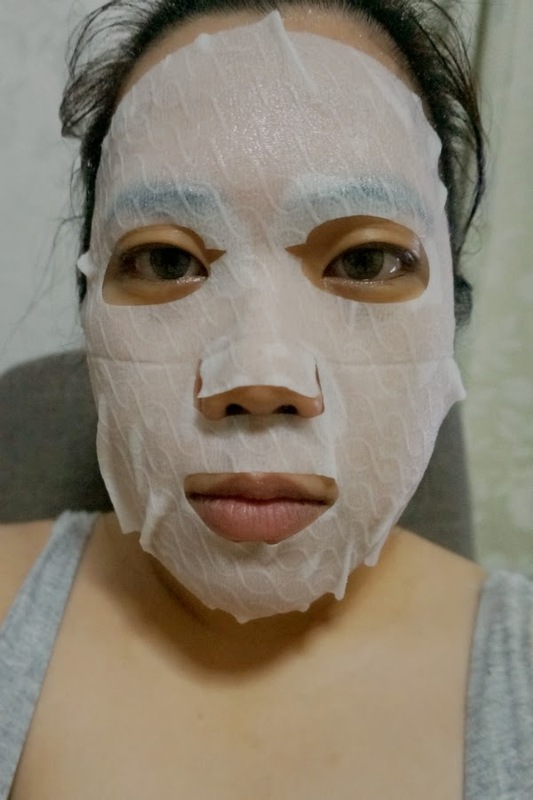 I had a bit of extra energy last night (after a 5-km walk) so I decided to pamper myself and had a mask on before I sleep. "Founded by dermatologists and skin specialists in Korea, Leaders InSolution offers nourishing masks so you can experience the skin-saving goodness of a professional facial—in your own home! Made from bio cellulose, each mask fits like a second skin so you receive every ounce of goodness packed into them. Free of parabens, mineral oils, silicon, and artificial pigments, the masks ensure that you get a natural super-gentle treatment every time you put them on your face." 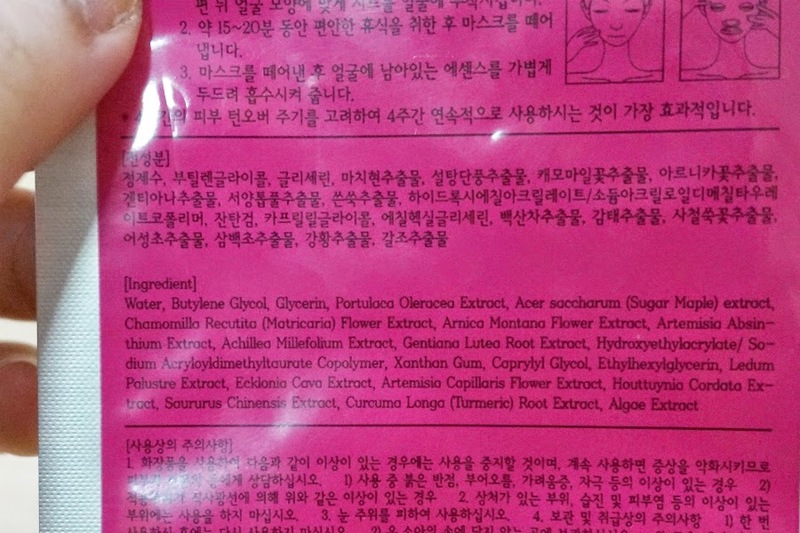 How to Use: Apply the mask to clean, dry face. Leave on for up to 20 minutes. Personally, I prefer to have it on for at least 30 minutes. 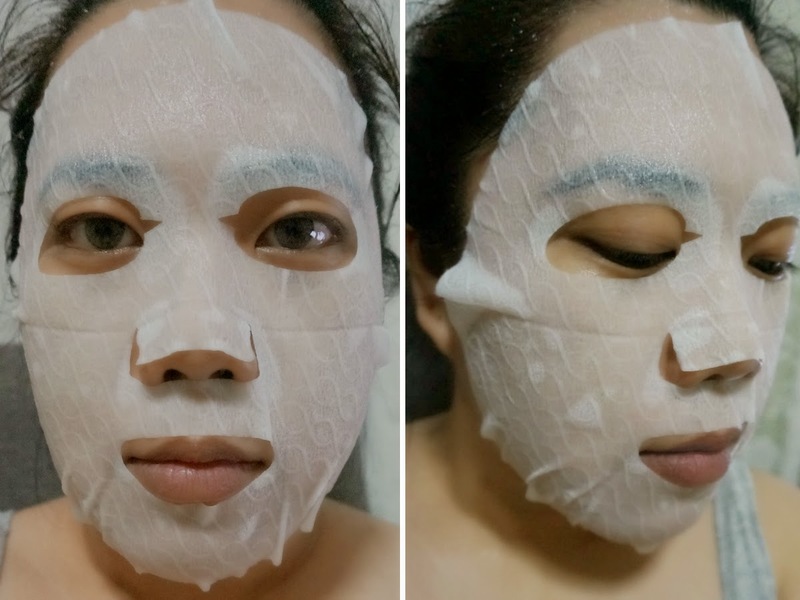 I think you can leave the mask on your face for longer, as long as you don't allow it to dry up face because then it will make your skin dehydrated. You can tap the extra essence on your skin and leave on for about 15 minutes so that it can be fully absorbed. No need to rinse anything! 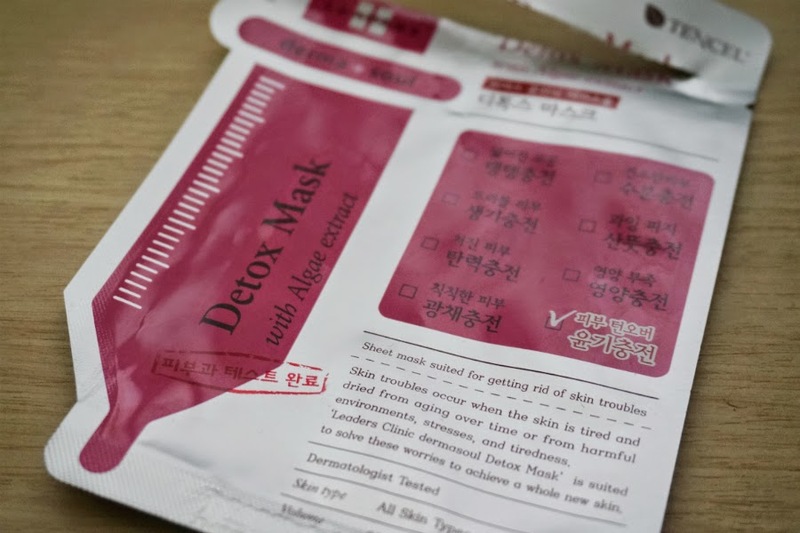 I see a lot of extracts and essences listed as the main ingredient for the mask, so I'm confident that I'm actually putting some nourishment on my skin instead of just water and some fragrance and tiny amounts of essences. The mask itself is made of thick fiber (bio cellulose) that don't tear easily. It's much thicker compared to other masks I've tried before. It was embossed with some curvy lines (I don't have any idea what for). The sheet fits nicely on my face and it was soaked in a good amount of essence - not dripping wet but wet enough. After 30 minutes, it was s till relatively wet that I was able to spread some essence across my neck and arms. I also like that this doesn't have any smell. I'm very sensitive to strong smells so if the a product has an offensive odor then it would be a no-go. 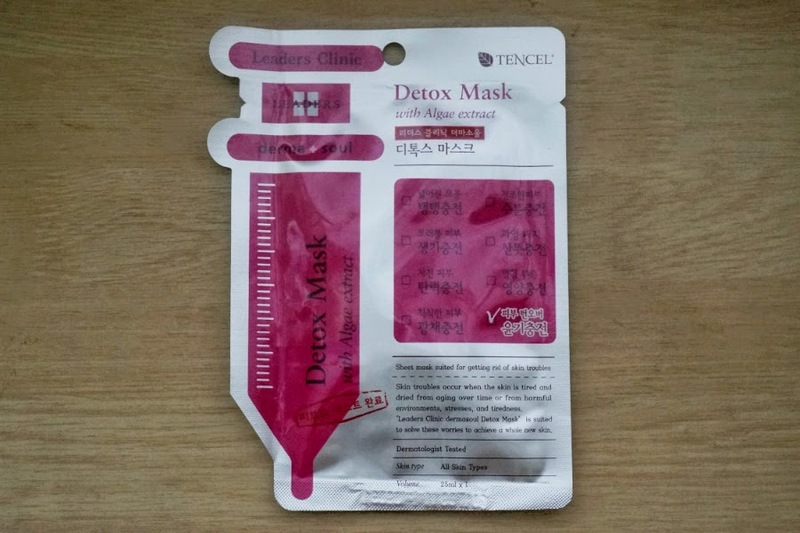 Overall: Leaders Insolution Derma Soul Detox Mask delivered good results. It left my skin looking fresh, supple and smooth the morning after. 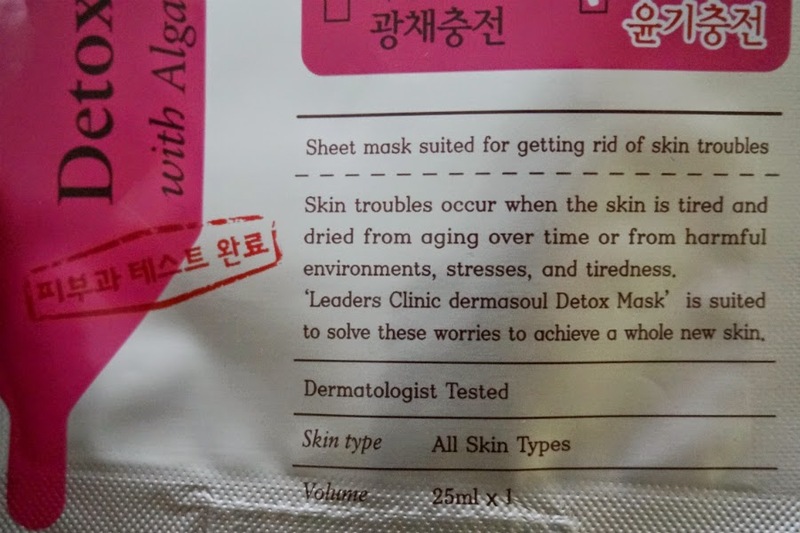 The sheet is thicker than most face masks and was soaked generously with serum. It didn't feel sticky while on and the essence was absorbed quickly. I am considering buying more variants from this brand, especially if they are on sale.